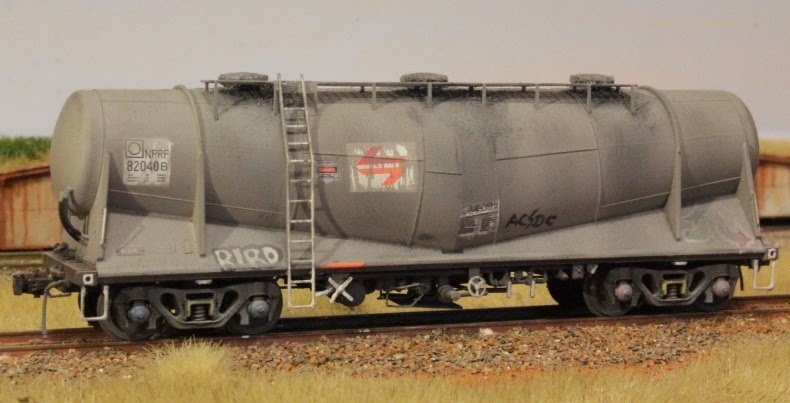 The Musings of a NSW modeler...: INDECISIVE MUCH?! This time last month I was telling y'all that I was changing my modelling era to the modern 2000's plus. BUT after a huge influx of 60's, 70's and early 80's models coming from customers in the post to have various work completed on them, I have made the (hopefully final) decision to go back to where I started, being the late 1960's - 1979. Reason being, that is still working with NSWGR and up to the PTC era, which to me provides extensive variety in loco's and rolling stock. I know to some it may seem very crazy to change again and so soon, but having the opportunity to work on so many models from so many different era's but I find I get carried away with what ever era I'm working on at the time. But I have to pull myself together and stick with something, now that's not saying I can't have a few train sets from other era's to run at the club layout is it? Any help/suggestions on the era would be very much appreciated. And hopefully I will be able to post some pics of new acquisitions and weathering, detailing on my own new older fleet!